Combine with Critical Care Disinfectant-Virucide-Fungicide for the best infection control program available today! Multi-Purpose Cleaner-Sanitizer-Virucide-HBV. EPA registered. The Carpet & Rug Institute Seal of Approval. NSF registered. 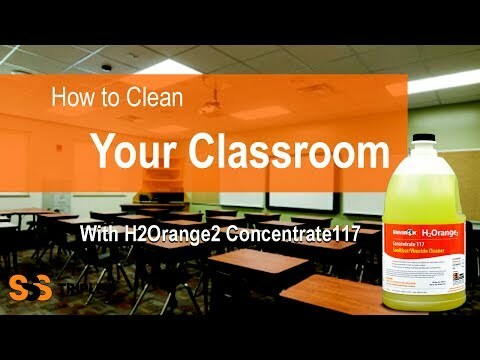 ONE cleaning product FOUR ready-to-use dilutions for ALL your cleaning needs. People safe, surface safe, color safe. For manual dilution, Spray Buddy and Blend Buddy I & II. Orange oil penetrates surfaces and breaks down oils. Biodegradable surfactants dissolve and suspend soil in water. Hydrogen peroxide oxidizes soil and stains, destroys odors, provides color safe bleaching and kills bacteria and viruses. Kills 99.99% of common bacteria and 99.9% of specified viruses, including Hepatitis B.